The best space in the city! A beautifully designed 2BR condo. 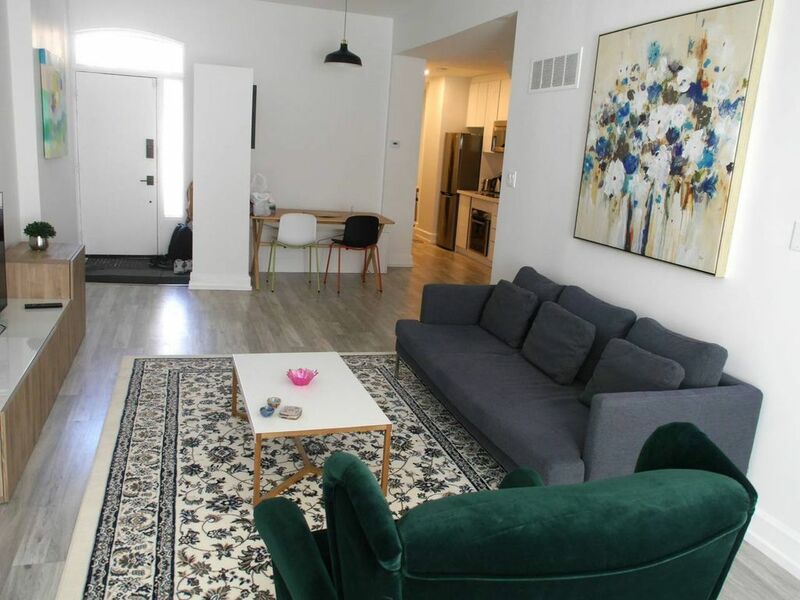 This condo has it all - a modern open space with inviting living room, couch and large flat screen TV, great kitchen, comfortable bedroom with a full bed, a second bedroom with a single bed, and a full bathroom with a shower. You will be in the best location in the city! This amazing suite is newly renovated and has everything for guests for a great stay. Enjoy hanging out on the couch, browse the high speed wireless Internet, or have a coffee/tea and just relax. Guests have access to the full condo - there are no shared accommodations here! Quaint neighborhood just blocks from the metro. This was a delightful condo located in a great neighborhood with its own private parking space! Just blocks from the metro we were able to access the ROM, Greektown, Chinatown, and more. Great eating places and a full-service supermarket and pharmacy just two blocks away. Easy access to the Don Valley Parkway let us enjoy the Zoo and the Aga Khan museum. We loved our stay and have told others about this great condo. Location is central to everything going on in the Toronto core. What a great walking city, lot's to do. The accommodation is up to date and modern. Decor and furniture a little sparse but it has been newly renovated to I'm sure that will improve. The free parking is a real bonus, save $20 to $40 a day!